Sources report that Chinese financial authorities intend to prevent domestic access to cryptocurrency trading platforms that allow centralized trading, within China and beyond. This news caused an intense selling pressure to all the major cryptocurrencies. 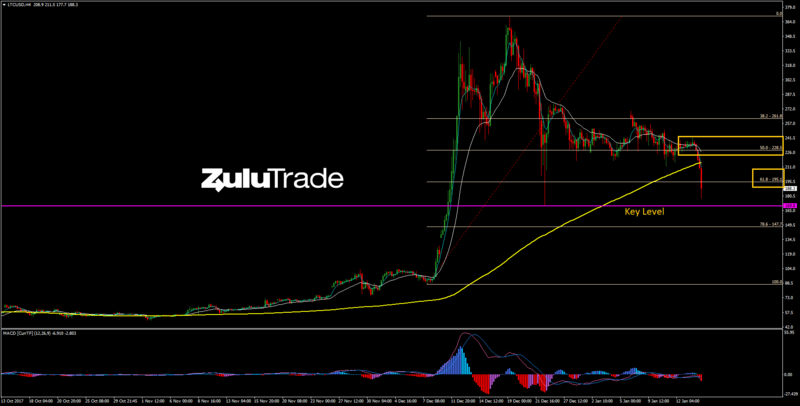 BTCUSD and LTCUSD were already in a corrective phase, however, ETHUSD lost its hot momentum and pulled back too. It is moving below 200 SMA, which proves the bearish outlook. 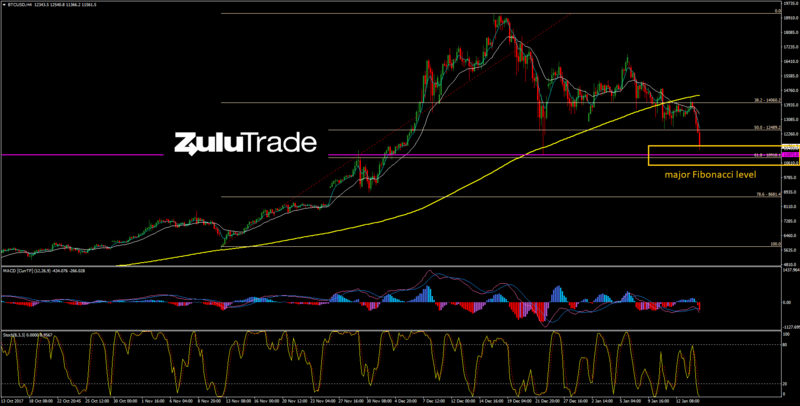 It is approaching a major support at 61.8% Fibonacci retracement level. BTCUSD will negate the negative bias if the price moves above $14060. LTCUSD was ranging around $275 to $216 for few days. However, it has violated this consolidation to the downside today. 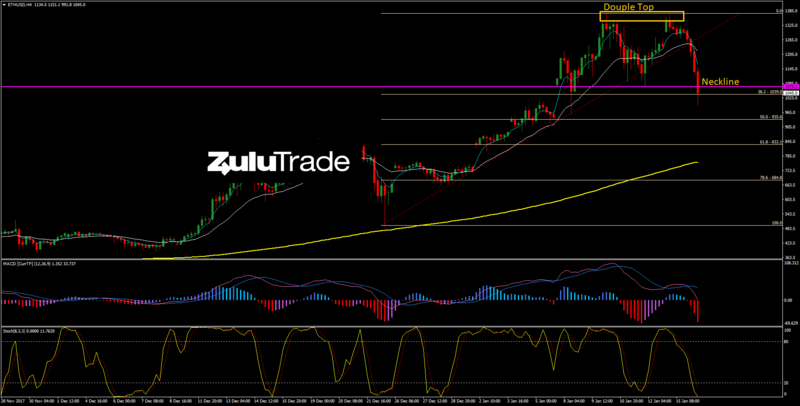 It is currently testing the major support at 61.8% Fibonacci retracement level. Bulls must hold this level. Otherwise, sellers will be even more aggressive. LTCUSD will negate the negative bias if the price moves above $228. It was trying to perform a new breakout towards new highs. However, it failed and it is activating a potential double top pattern by violating $1070 level. It has to close below this level in order to activate the pattern. If so, then it gives a measured target of $300 to the downside. If the neckline holds then it may test the double top once again.